The Memphis Symphony Orchestra's Opus One launches its third season, gets crunk with rapper ALl Kappone. Memphis Symphony Orchestra violinist Heather Trussell has a challenge for skeptical music lovers who think classical music and rap mix together about as well as Nas and Jay Z. "Take a risk," she says. "Open your mind. It's all music." Memphis hip-hop stalwart Al Kapone, who will perform a selection of his best-known raps with symphony musicians for the opening concert of the MSO's 2011-12 Opus One season, takes things just a step further. "Skeptics need to get up and get themselves down to Beale Street on November 10th, so we can blow their brains all over the New Daisy Theatre," he says. Joanna Lipman, the chair of Opus One's volunteer steering committee, gets into the act. "Classical music is high art. We make these huge distinctions between what is high art and what's common, right?" she says. "Well, Opus One is trying to smash that barrier." Trussell goes on: "People always say music is the soul of a place or a city. To take any one part of that soul and cut it off from the rest is silly. Why have it fractured? All these great musicians in Memphis — whether they are playing with the symphony or at the Hi-Tone or just writing and recording music at home — have a love for the complexity of music, how you learn it, how you perform it. What Opus One does is get us all back to the roots of what we all love about live performance." "Risk" is a word that comes up often when people involved in the creation and development of Opus One describe the Memphis Symphony Orchestra's not yet three-year-old musician-led initiative to integrate classical and popular regional music and to perform these unique collaborative works in unusual environments. No symphony orchestra in the country had tried anything quite like it. But with classical ensembles across the country struggling to find funding and relevance within their communities, the time for taking big risks was overdue. "Opus One is an idea born out of the musicians' artistic needs," MSO president and CEO Ryan Fleur says. The MSO had to cut five weeks out of its season in 2009. "If you don't play together, you don't get better," he says. "It all started at the bottom of the recession. We had to scale back and people doubled up on jobs." The symphony was between conductors when Fleur first remembers talking with concertmaster Susanna Perry Gillmore about a crazy idea that had been bubbling up from the rank and file. "She said the musicians wanted three weeks out of the season to produce unique events with guest artists in unusual venues," he says. "The whole thing would be managed by the musicians. They would sell tickets, move chairs and music stands. They would do the party planning." They would also prepare and perform without a conductor, an idea that Fleur describes as completely "nuts." "A lot of people probably don't realize it, but it's really very radical to have administration and musicians working together. In most places, these two groups really hate each other," Trussell says. "This is another barrier we're trying to break." Fleur diplomatically confirms Trussell's assessment. "The model was built where the musicians are just here to play, the board is here to raise money, and so on," he says, admitting that he was initially "highly skeptical" of the whole endeavor. 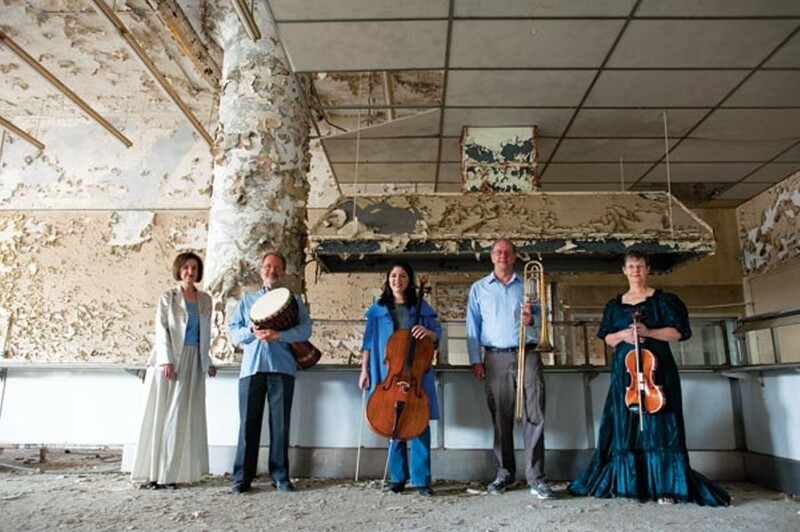 Shortly after the idea of a musician-led initiative was proposed, several members of the MSO visited New York to observe the Orpheus Chamber Orchestra, known for its collaborative style, in which the musicians interpret their own scores without a conductor. "By that time, I saw determination," Fleur says. The new collaborative process wasn't always easy for musicians, who were used to sitting quietly at practices waiting to be told what to do. But by the time Mei-Ann Chen was hired to be the symphony's new music director, Opus One was beginning to find its legs. In her interview with the MSO management, Chen asked if this forward-thinking orchestra that was figuring out so much on its own really needed a conductor. "That kind of thing is very empowering," Trussell says of Chen's comments. "Especially for musicians who are accustomed to being the hired help: Enter through the back door, don't eat the food, don't get in the way." Opus One has been an unqualified success, selling out all of its shows. The symphony musicians have performed with an eclectic roster of performers, including rocker Harlan T. Bobo, indie singer/bassist Amy LaVere, and jazzy vocalists Joyce Cobb and Susan Marshall. In addition to Kapone, season three's concerts will showcase the talents of vocalist Marcela Pinilla and roots-rockers Lucero. Although the band has yet to choose which songs it will perform with Opus One, Lucero drummer Roy Berry is already excited by the possibilities. "It could get interesting, because our live renditions of songs are different from our recorded versions and often different from show to show," he says, recalling Lucero's evolution from a small ensemble with a violin and occasionally a bowed bass. "We've lately been touring as an eight-piece band. So strings, percussion, brass, keys, and added vocalists are not foreign to us. There is a bit of a symphonic influence among all the things that inform our writing. Maybe not completely obvious, but it's in there." Less than a week before the Kapone show, Trussell tells a story about the first time the Memphis rapper met with members of Opus One to go over details. "He asked if the symphony musicians were going to be dancing, and then he fell out on the table laughing," she says. "Later on, Al called because he was worried about some of the classical music on the program. He said he'd told a bunch of his people about the show, and they didn't really seem into that part. I told him, "Al, you know there are a lot of symphony subscribers who aren't all that into rap either. This is a risk for everybody involved. It's a risk for the symphony, and it's a risk for you." "I started going through my playlist. I'd forgotten that certain songs I had were heavily orchestra-related," Kapone says. "I took them to [MSO arranger] Sam Shoup, who broke down all the different sounds for the musicians to play. He was amazing." Kapone elaborates: "First and foremost, this is going to be an experience. Most people, when they think about rap and classical, think about things that are worlds apart. But it's all perception. Rap has negative connotations. The classical world has a dignified, upper-class connotation. But hip-hop isn't one-dimensional. Memphis hip-hop has always touched the symphonic sound in some way. It has always used horns and strings." Kapone, who performed with the orchestra once before for a Memphis Grizzlies game, has gotten so accustomed to playing with a live band that the idea of going back to performing with only a DJ scares him. "I'm super-excited," Kapone says. "Because I know that when you add the symphony, all the energy is going to be felt on a whole new level." "An Opus One show is a real collaboration between the symphony, the guest artists, and the space we perform in," Trussell says. "And the thing about seeing music performed in an Opus One space is that it feels like you can reach out and touch it. You can feel the energy. That's what makes the music come to life." In addition to classic Kapone tracks, Opus One will perform a selection of classical music including Beethoven's Fifth Symphony and Philip Glass' String Quartet No. 3. The program will also an original composition by MSO cellist Jonathan Kirkscey. "We really are the most innovative symphony in America," Fleur says. "And in so many ways, Opus One perfectly embodies the best of what the Memphis Symphony is about. This isn't just about playing music composed by dead, white European males. It's about asking how we can dynamically connect with Memphis." Opus One with Al Kapone and members of the U Dig Dance Academy, New Daisy Theatre (330 Beale), Thursday, November 10th, 7:30 p.m. Attendees must be 18 or older. For tickets and more information, call 537-2525.